The latest article in our 'How to start your purpose-driven business now' series sees Virgin's very own Fiona Ross share her insight and advice on creating a powerful, purpose-driven brand. Great brands delight people. They have genuine meaning in people’s lives. They have the ability to drive cultural change and redefine how we do business. They are always one step ahead, anticipating what we need, and then delivering it thoughtfully and impeccably, time and time again. It's challenging but exciting to be part of a team who have this kind of brief, which I why I love working in brand management and particularly on such an iconic brand as Virgin. Great brands have different approaches, but what is consistent is that they all have a clear focus or purpose that directs the business in all the decisions it makes. Apple is relentlessly focused on the product – the design, materials and production of the most beautifully simple and intuitive devices, which have people queuing. Airbnb has understood the zeitgeist, the cultural phenomenon of the sharing economy where people want to have authentic, connected travel experiences vs. staying in a soulless hotel. Airbnb’s virtual business allows people to rent a place from local hosts. Their brand positioning statement “belong anywhere” resonates, as does their thoughtful service and 24-hour support, to the tune of 20 million people (so far) trusting them. Virgin is famous for being a challenger brand, the cheeky upstart that shakes up industries to provide something different and better. Forty-three years later, with companies in multiple sectors across the globe, the brand is driving innovation through being purpose-led. Virgin is intent on “changing business for good” and redefining the relationship between staff, customers, communities, environment and shareholders. Virgin Money’s purpose of “making everybody better off”, a novel concept in banking, is a good example of this. Having a well defined and established brand has many benefits. I have noticed that new Virgin businesses scale quickly and cost effectively, they attract good talent and have more loyal customers. We, of course, have the gift of Richard Branson, who people love and trust, and his spirit is woven into the brand’s purpose and values. Find the genuine insight that will transform why you are in business and how you do it. You probably have a business idea but it’s worth listening and digging deep to find the insight that will shape your future. Sit down with potential customers, your staff, friends and family, industry experts, interesting thinkers and designers (they give a whole new perspective). Understand the dynamics of the market and work out the value you can create in people’s lives and the world at large. Clarify your purpose, positioning and proposition. What is it with Ps in marketing? Now that you have that killer insight, spend time mapping what your brand stands for; it's a worthwhile investment as it lays the foundation much like as architectural plans do for a new home. There are many brand positioning models out there. I recommend you find a simple one that works for you. The most important thing is that you and your team believe it and have the skills and resources to deliver it. Create a rich and distinctive brand identity. Only do this once you have done step two, otherwise you’ll be wasting time and money. Develop a brand name and logo but don’t stop there, a full brand identity includes much more than that and helps bring your brand to life across every touch-point. There are graphic elements such colour palettes, fonts, photography, videography, iconography and illustration styles that can make you look distinctive. Think about sensory experiences and most importantly find your tone of voice; this is your personality and way of saying things. You will need design and copywriting help for this, don’t try to do yourself! Be generous in the experiences you create for your customers. Good brands give, they don’t take. They look at the entire customer journey and see how to make the pain points positive. They are thoughtful (think through every detail) and make the experience feel abundant. Focus on people and culture. People are the most important asset and the ultimate reason behind every brand and businesses success. Find the best people to work with and keep them happy and inspired. And most importantly have fun! The Art of the Idea. A fabulous book about the power of ideas from playwright, author and creative director of TBWA, John Hunt. The Tipping Point, by Michael Gladwell. In fact, any of Malcolm Gladwell’s books! A useful textbook is The Economist’s Brands & Branding. Seth Godin's thinking. And Agency Wolff Olins have an insightful blog. And to keep up to date on trends, I recommend the Future Foundation and The Future Laboratory. Fiona Ross is part of the Virgin Group Global Brand Team. Her responsibilities include Virgin Brand Identity, Virgin Brand Experience Best Practice and she provides brand advisory for Virgin companies in Emerging Markets. Fiona is a board member of Branson Centre of Entrepreneurship South Africa, a Virgin Unite initiative. Prior to Virgin, Fiona cut her brand teeth at Unilever and Ogilvy. 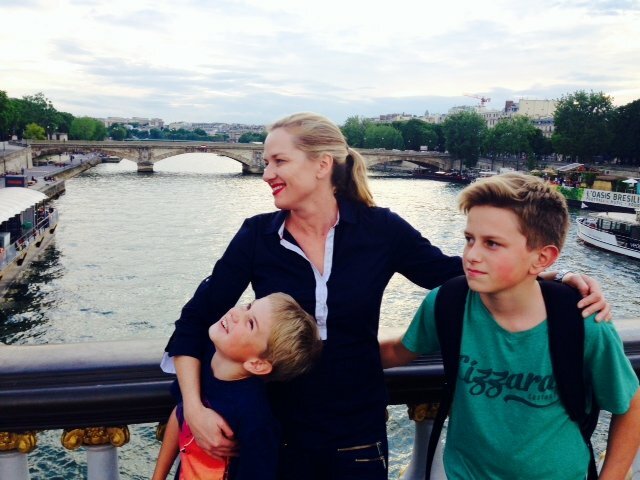 She is married with two sons, pictured! Over the next two weeks we're co-creating a whole series of articles dedicated to helping you start your purposeful business now. Find them here. 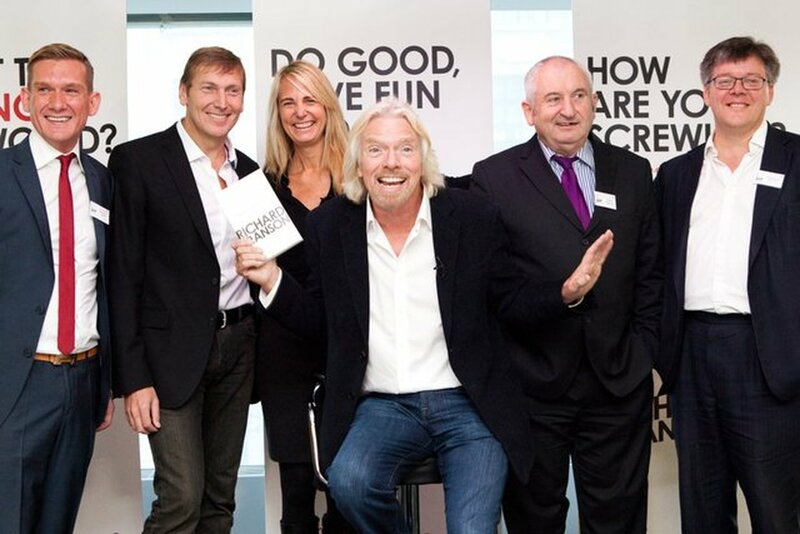 Want to support Virgin Unite’s entrepreneurs? You can donate here!